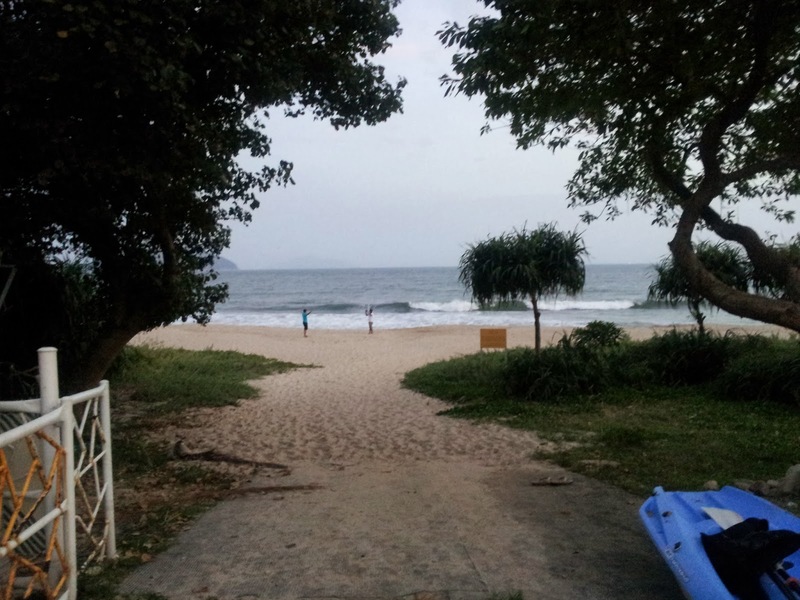 The first time I heard about camping in Hong Kong was through a friend who couldn’t stop raving about how much fun it was and how her boys thoroughly enjoyed themselves and that it’s a ‘must-do’ and so on and so forth. It was only later that I found out that she herself had not gone for it. She had just organised the camp for her husband and boys for a night of adventure! No wonder then she was all praises for the camp….she was actually visiting the spa the whole day long! Well, spa I wasn’t too keen on, but I didn’t mind a day off from the boys to just do my own thing. One evening while we were having dinner I causally talked about it to my husband. My hopes of having him jump with joy at the mere suggestion were quickly dashed, as he barely made a comment and continued eating. Getting no other reaction from him even in the next couple of days I realised that if I wanted to make this camp happen, I would have to be a part of it. So I started planning. I was shocked to find a whole list of camping sites and also a handful of camping holidays planners in our very urban Hong Kong! I then narrowed down on the one that I thought was suitable for a first-time camping family like mine. This time there was no discussion. After getting an ‘available’ date from my husband I just made the booking. To add to the fun and anticipation two of my friends and their families also joined in. The day drew close and while my elder son had just come back from his school camp that week and wasn’t as enthusiastic about another camp, my younger one and I were all excited! The good thing about going with friends is that you exchange packing lists, food lists (we were planning to do a barbecue that night), essential and not-so-essential tips, weather updates, sleeping patterns, transportation options, basically anything and everything under the sun. So much so that by the time we had to leave for the camp, I had a feeling that camp was already over! We had decided to take a fast ferry to the island, heading for the eastern part to a place called Mui Wo. Going by the online time-table we were all in time for the ferry and stood in the serpentine queue that led us to it. It was only after being seated did one of us realise that we were in the slow ferry and not the fast one. For some time confusion reigned as one of us was prone to bad bouts of sea sickness, but then by then the door was shut and there was nothing we could do but to stay on. The good part is that we made it there without any further incidences. Once there it was a short taxi ride to Cheung Sha where our ‘glam camp’ was. I would have preferred taking the bus though, doing a slow journey and knowing more about the new countryside. I didn’t feel like I was in Hong Kong anymore, with the much slower pace of life and the empty, narrow, tree lined roads which snaked away as we sat looking around the window. When the taxi halted I was a bit confused as there was no sign of the village we had to go to. The taxi driver then pointed to a little path going down from the road. We started walking down and in just about a few minutes reached Palm Beach Teepee Village. It looked exactly how I had imagined it to be and I fell in love at first sight! 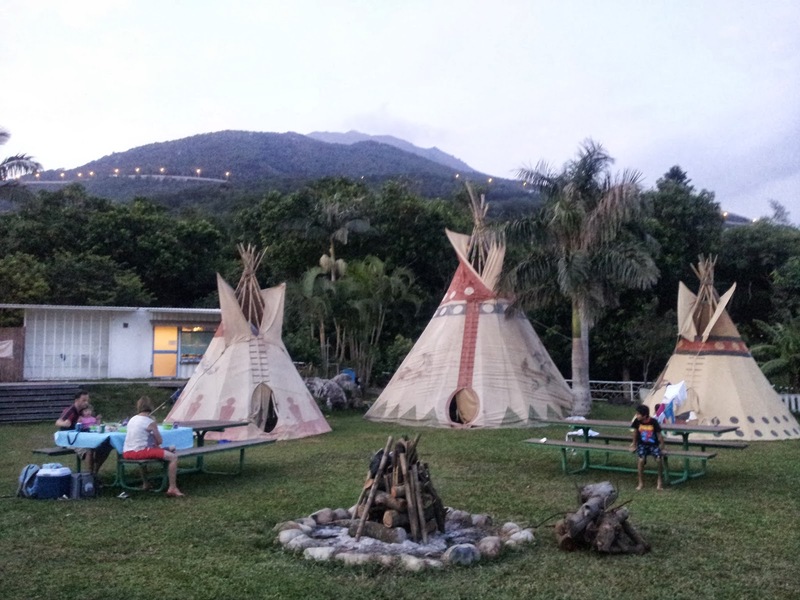 The Red Indian style teepees set in a semi-circle, on real grass, the bonfire in the centre, the beach in full view….whatever last minute doubts that I had about the trip were all erased. After giving a quick snack to the kids, most of us changed into their bathers and I ran along with the kids to the inviting beach. 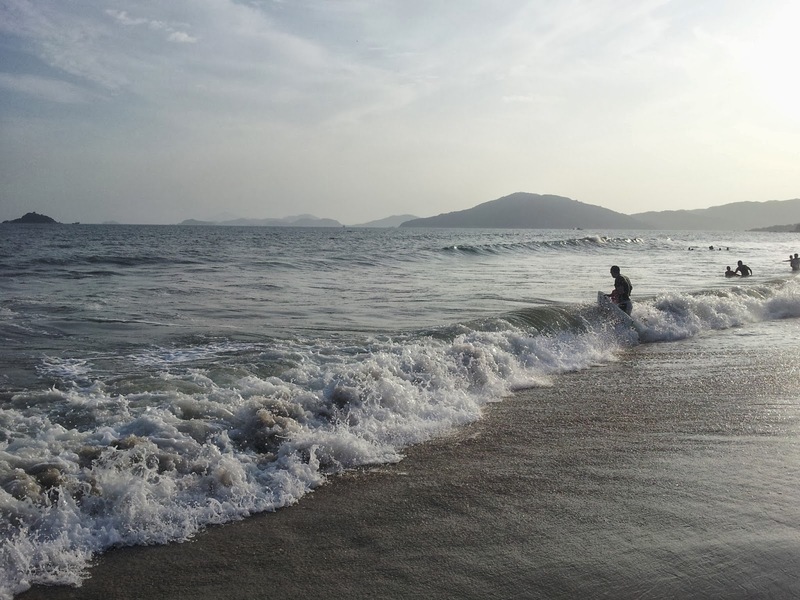 I headed out to the sea wanting to relieve myself of the dust and the grime of the city. What took me by surprise were the huge waves and a powerful undercurrent, so initially I was hesitant to let go of the safety of the shore. But after a while I ventured in, not minding the waves crashing into my face, throwing off my goggles or lashing out at my hair. I gulped air and water, had a short coughing bout, got my neck sprained with one sudden wave, but I just went along the flow, sometimes swimming and yet sometimes surrendering myself to this force of nature. At the same time we had to keep a good watch on all the kids to make sure they were safe, and even after a long workout with the sea, we weren’t satiated! The hours passed swiftly, the sun started setting and I ran back to the teepee to grab my phone and get some nice pictures in the beautiful light and setting. Soon it was time for dinner and our appetites were well built up. The campsite had three bathrooms and a long queue was soon built up to use them. Thoroughly washed and cleaned I was now looking forward to a relaxed evening in the company of my family and friends. 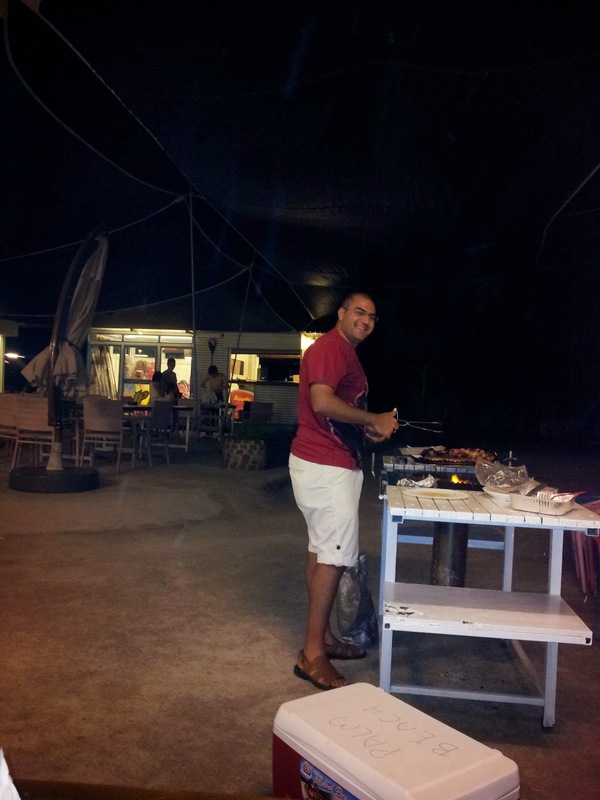 We had booked the barbecue pit and had come well prepared with food and drinks. Going out with my Parsi friends had one big advantage – there was never any shortage of food! We had marinated chicken, steak, pork chops, meatballs, hot dogs, burgers, egg omlettes, roasted pumpkin, sweet potato, just to name a few. Not to forget sides like cheese, crackers, wine, juice and what not. Kids had their fill and then ran off to the owner’s friendly dog to pet him, while the boys kept busy playing football. It was a long, relaxed meal as we sat back and let the wine and meat take over our mind and bodies. Taking the advice of a friend we had also booked a bonfire, which post our barbecue session, was lit up for us. As the fire started licking the wood we made ourselves comfortable around it. It was a cool October night and I was glad that we didn’t do the camp any sooner in the summer heat. One of my friends couldn’t resist bringing along a favourite tradition of her country for dessert – s’mores! Quite new to the concept of roasting marshmallows in the bonfire I think I did a decent job. The kids then ate the roasted marshmallows like a sandwich in-between two chocolate Digestive biscuits. All except my 5-year old who gobbled down four marshmallows just like that. I thought he would go hyper-active with all that sugar addition, but by 10:00 pm he was ready for bed or should I say our night adventure? Now started the real camping bit. Although we spoilt urbanites had booked a cooler, air beds, pillows and mosquito nets to make it easy on our ‘delicate’ bodies, we couldn’t get away from the fact that we had to sleep in a tent. My little one was so excited to sleep in one till he realised that the air bed wasn’t as cushy as he thought. We had to adjust our bodies bit by bit to get most of the air in the air bed but finally I resigned myself to sleeping flat on the ground as the bed went under with my weight. Exhaustion along with the wine aided quick sleep but then I had to wake up quite a few times after that. Twice when my son wanted to use the toilet, once when the mosquito net was threatening to suffocate me, once to apply Voveran gel to my sprained neck which had gotten worse sleeping on the air pillow and the final time when I was awakened by my husband asking me for the insect spray! Finally I was up by 6.00 am and was surprised to see so were some others. I guess one needs to get used to camping out before they can enjoy a good night’s sleep in a camp. Having said that I still think we did pretty well. It’s amazing how early the day starts when disconnected with technology. By 6:30 the table was laid out for breakfast. Cereal, milk, Marmite and bread were gulped down by the kids while we sipped our coffees and teas. That they charged us HK$ 10 for each cup of boiling water served as a reminder to carry a small kettle next time round. That sorted the kids once again ran off to the beach with the men, while we ladies stayed behind to chit-chat. It was a lovely day, much cooler than the day before with the sun hiding behind the clouds. Once again the beach started getting full with eager campers, swimmers, boogie boarders and little children filling the air with their happy shrieks. Our kids also spent a long time in the sand building sand castles. By noon which was our check-out time we were all packed up and ready to leave. One of us had the foresight to book a table at a nearby restaurant called Le Stoep which judging by the crowd building up outside was a very good idea. Food was fresh and of excellent quality. We ordered a good mix of meats with salads and then washed it down with a jug of sangria. There I bumped into another friend who had camped the night before with her family. And this was real camping which included pitching their own tents, carrying their own sleeping bag, provisions, food. The best part was that they had managed to fit everything into three haversacks and looked pretty fresh after having a good night’s sleep. I guess we need to have a few more camps before we can even attempt to look like that. Soon it was time to go home. This time we got a fast ferry back to HK island and in no time landed back in our urban jungle, in the middle of tall skyscrapers that define the skyline of our city. That night as we lay in our comfortable beds, my son asks me “Mummy when can we go camping again?” “Soon my love.” I replied, my mind going back to my camping days in school, as I realised that we had created yet another memory for our children and one that they would cherish for a long time to come.